If you didn't already know, I am an amateur magician and here lately I have been devoting my energies in a magical direction... 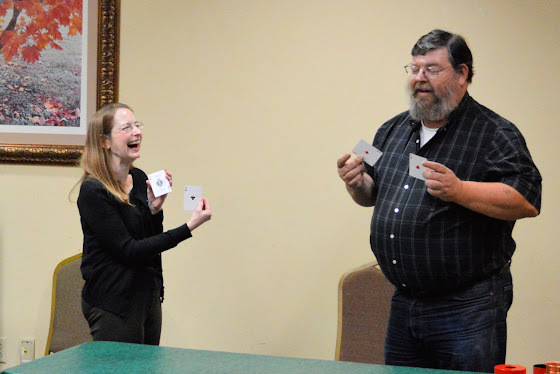 I have decided to enter the yearly magic competition sponsored by my magic club, the Society of Memphis Magicians. I have been pretty busy this month compiling and practicing the routine I plan to present. What are your thoughts? Sound off in the comments section below! Magic is always fun. Be it if you're the performer or the audience. Thanks, man. I love to perform, but I don't get the chance very much. There is a video of me performing in a post from Jan 2015... I cringe when I watch it but I have been told I was very funny and entertaining. One of my problems is I need to stand in one spot while performing instead of roaming back and forth across the "stage." Its nervousness that causes that.